Employers in New Brunswick should expect another "significant" increase in the rates they pay next year, on top of the 33 per cent hike they were hit with at the start of January, says WorkSafe NB. Employers in New Brunswick should expect another "significant" increase in the rates they pay in 2018, on top of the 33 per cent hike they were hit with at the start of January, says WorkSafe NB. 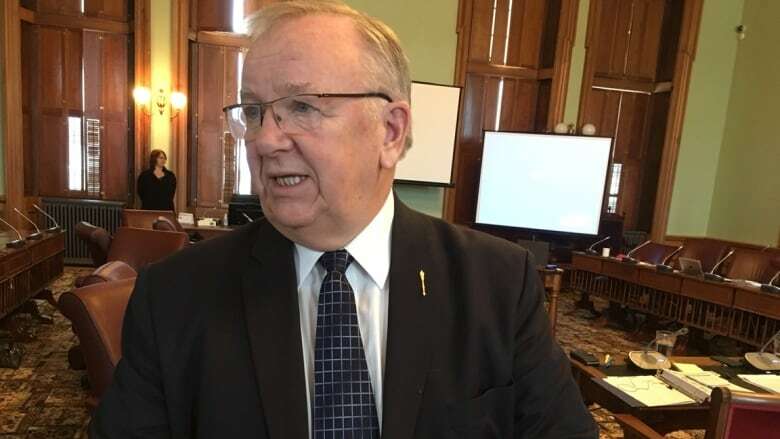 The Crown corporation appeared before a committee of MLAs Thursday, with acting president and CEO Tim Petersen offering a detailed explanation of why the rates are going up. Employers started paying $1.48 per $100 of assessed payroll on Jan. 1, up from $1.11 last year. Petersen said it was too early to predict what the 2018 increase will be. "I can't lock it down," he told reporters. "I think it will be significant based on the trends we're seeing." 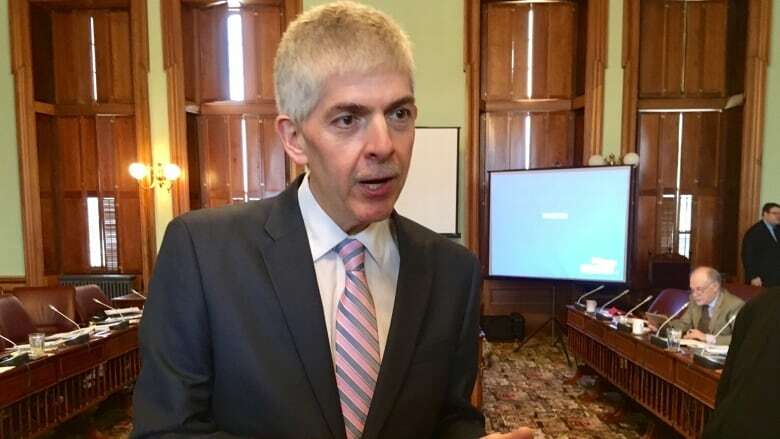 Petersen told MLAs the increases come in part from appeal tribunal decisions that rewrite WorkSafe policy and must be implemented, increasing benefits that are paid out to workers injured on the job. "If they overrule a board policy, then that has an effect for not only that claim, but it has effect for all other claims that come before us," he said. "The policy has effectively been changed and we have to implement that." Kings Centre MLA Bill Oliver is skeptical of WorkSafeNB's explanation for why rate increases are needed. 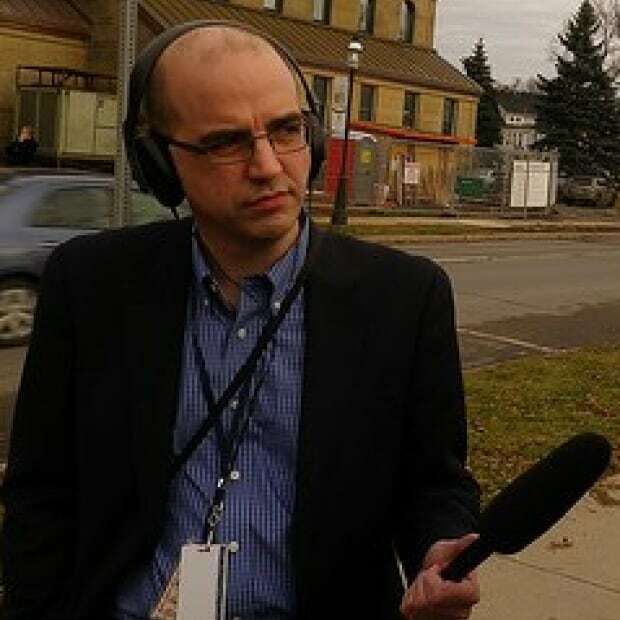 (Jacques Poitras/CBC)At the same time, there are more claims, and injured workers are being awarded compensation over longer periods of time, he said. Progressive Conservative MLA Bill Oliver was skeptical of the CEO's explanation, suggesting WorkSafe should do more to spread increases over a longer period. "It came down three years ago, two years ago, last year," he said during the committee session. "And then all of a sudden, it jumped so high. I think personally it's an overreaction to a trend. "I know you have all types of forecasters and people who look at this every day, but it just seems a bit out of whack." Business groups have condemned this year's increase, saying it will discourage owners from hiring more employees. WorkSafe NB functions like insurance. The premiums go into a fund that is used to pay out compensation benefits for injured workers. If there isn't enough money in the fund to cover what has to be paid out, rates must go up. Petersen told the MLAs it's agency policy to collect enough money to cover 110 per cent of its payout obligations, giving itself a cushion. At the same time, it has to look at long-term trends in the number of claims and how long it will spend paying them out. WorkSafe is at 122 per cent now but forecasts having to pay out more claims in the coming years, requiring the increase. Petersen said, though, that Worksafe will give employers a discount of 23 cents in 2017. That will lower the amount it is overfunded so it can move back toward its target of 110 per cent over time. The discount is "really a mechanism designed to draw the funding level down, but not down all at one time," he said. "If we were to adjust to 110 per cent all in one year, you'd wipe out the entire rate. The discount would mean you wouldn't have to charge anything." But the pool of money is susceptible to swings "not just on the way down," he said. "They can happen on the way up." He said WorkSafe is already smoothing out the need for more money by spreading it out over time. Without doing that, it would have to charge a rate "substantially" over $2 per $100 of assessed payroll, he said. Petersen pointed out rates have been going down for a decade and are still lower now than they were in the 1990s. He also responded to comments by the chair of the Workers' Compensation Appeal Tribunal, which hears appeals of WorkSafe decisions. Daniel Theriault, chair of the Workers' Compensation Appeals Tribunal, says WorkSafeNB rarely sends anyone to hearings. 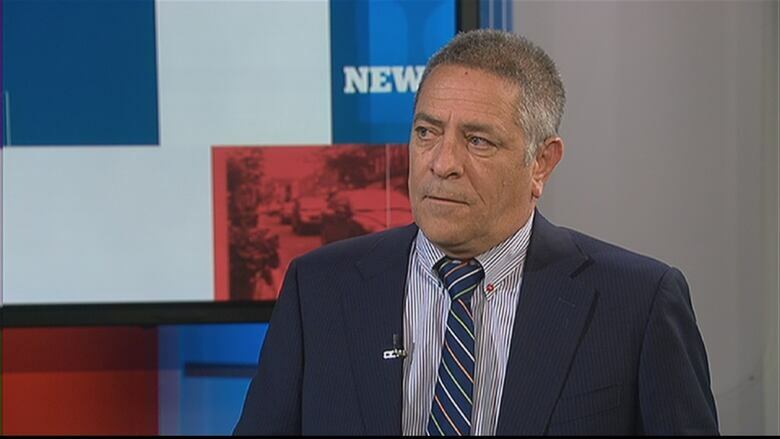 Chair Daniel Theriault told CBC News in December the tribunal overturns 90 per cent of cases brought to it, often because WorkSafe doesn't bother to show up to argue for upholding them. "We have in fact sought standing at a couple of different appeal hearings, unsuccessfully," Petersen said. He said tribunal rulings had increased the amount WorkSafe must pay out by $87 million, or the equivalent of 15 cents of this year's 37-cent increase. But he said Worksafe has decided to not fight every appeal. "We all share the concern about providing a good service to the injured worker, and the appeals time is an important part of that," he said. "If we're seeking standing at every single hearing, that's going to bog down the process and it's not going to result in a very good service for the worker. So we didn't want to do that." He also said Worksafe has "some resourcing issues." While its two lawyers do a good job, "there are only two of them," so they can't fight every appeal. One appeal Worksafe lost was over its policy of putting 10 per cent of benefits into a pension fund for claimants that was invested in the markets and gained or lost value. The tribunal ruled any loss in value should not be counted against the worker's benefits. That decision would add $31 million to costs and contributed to this year's rate increase, Petersen told reporters. Petersen said Worksafe hadn't been notified of the tribunal hearing that led to that ruling because of "bumps along the way" when the new tribunal was being set up. If Worksafe had been notified, it probably would have fought that appeal at the tribunal, he said.